In this first issue of the magazine for the year, we begin by looking back at the annual SPAR Partnership Forum, which took place in Amsterdam towards the end of last year. An event that has grown significantly in scale, the 2018 Forum was a true celebration of the contributions of our preferred suppliers and of how we are all working ‘Better Together for a Better Future’. Turning the focus to our independent retailers and store managers, we share the stories of Frans Jooste from SPAR Botswana and Obyda Mustafa Karazi from SPAR UAE. They are both fantastic retailers who are excelling in growing the brand in their respective markets. Other features of this issue include a review of two spectacular SPAR stores in Norway and Ireland, a look back at the 2018 SPAR European Cross-Country Championships, and an update on the SPAR Bake-Off solution with a summary of recent market implementations. Finally, in addition to rounding up the latest SPAR Worldwide developments, we report on the new SPAR Natural range of products, which has been developed in response to growing consumer demand for healthier food options. To read these and other stories about SPAR worldwide, follow this link. 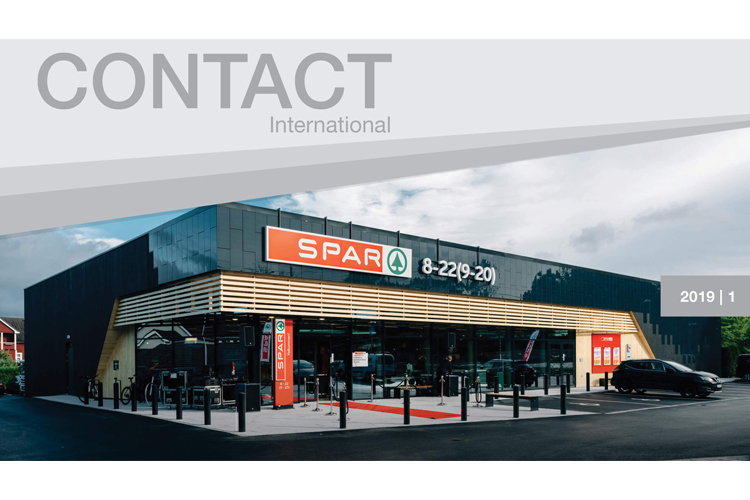 Contact International is a quarterly magazine produced by SPAR International for all SPAR Partners and Retailers around the world. It is available in seven languages (English, German, Spanish, French, Italian, Mandarin Chinese and Russian) and covers a wide range of retail industry subjects, reflecting our diverse and global business. Also available as a print magazine, Contact has been in publication since the mid-1990s. The first online version came out in 2016 making it easier for news to be shared with our SPAR Partners and Retailers around the world. To subscribe to the online version of the magazine, please send us an email.